Reminder: What was the East German revolution in 1989 all about? In order to get a deep insight into East German society and the reasons which finally brought the end of this regime, Goethe-Institut Cyprus presents the award winning very successful German TV-series “Weissensee” about an East Berlin family, “the first TV show to truly reflect life in the GDR” (The Observer). 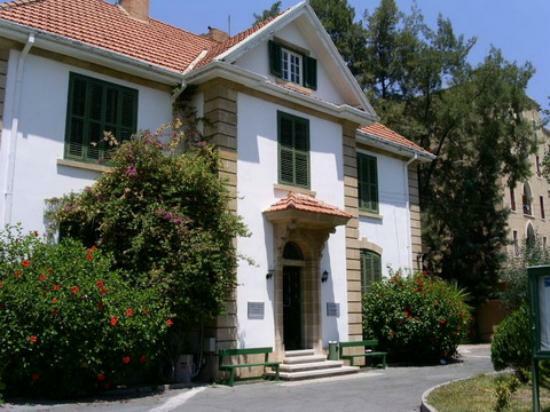 Goethe-Institut Nicosia (UN buffer zone, next to Ledra Palace Hotel) 7.00 pm Admission is FREE! With introductions by and after screening discussions with Björn Luley, director of Goethe-Institut Nicosia. Bitte nicht vergessen: Was waren die Hintergründe für die friedliche Revolution in der DDR im Herbst 1989? WEISSENSEE – eine Familiensaga“ (2010-2013); Regie: Friedemann Fromm; produziert von ARD – Das Erste; 12 Episoden von jeweils 48 Minuten Länge; Auf Deutsch mit Englischen Untertiteln. Goethe-Institut Nicosia (UN Pufferzone, neben dem Ledra Palace Hotel) 19.00 Uhr Eintritt frei!